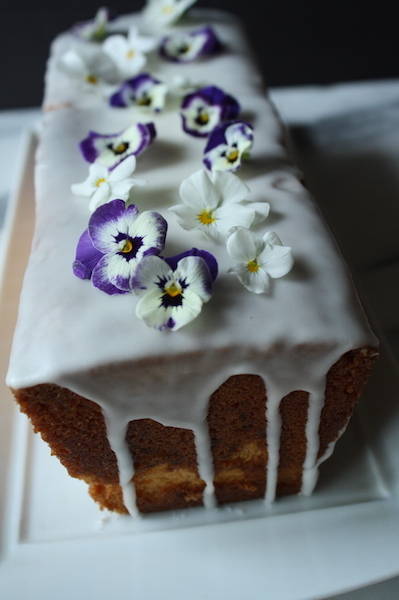 A few weeks ago, my dear friend Kate Hill (of the Kitchen at Camont) posted a cake recipe. It was a simple French version of pound cake, quatre-quarts, and she served it with the most magnificent looking strawberries. In fact, she made it specifically to go with those strawberries. The recipe is easy to remember: equal parts eggs, sugar, melted butter and flour. Weigh the eggs first, in the shell, and this determines the quantities of the other ingredients. It looked phenomenal though to be fair, everything Kate makes is pretty phenomenal.